Just a quick recolour of the lion from my previous daily sketch. 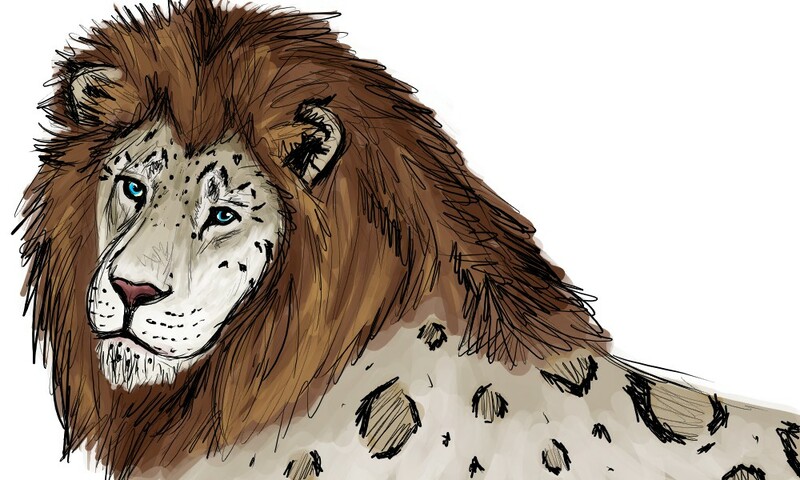 I've given him snowleopard markings and colouration, thus making him into an approximation of a snowliopard. Ideally a snowliopard would have a more snowleopard shaped face, but this I think this version looks pretty nice anyway.